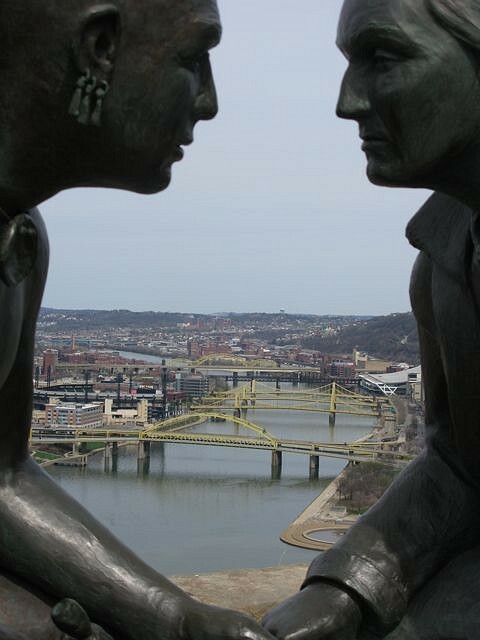 This is a monument on Mt Washington, overlooking the Ohio River. It shows George Washington deep in conference with the Senaca Tribal Leader, Guyasuta. The city of Pittsburgh is behind.